The announcement to close by Dec. 31 comes as the company was in the process of building a $3 million production facility, according to the San Antonio Express-News. “Now, due to a combination of unforeseen hurdles in building our San Antonio location and the challenging macroeconomic conditions affecting investment in the craft beer sector, we find ourselves facing some tough choices,” read a statement from the Alpine-based company. 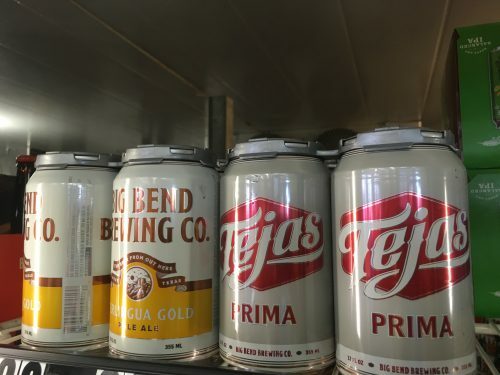 Part of the “unforeseen hurdles” may include the bankruptcy of the Canadian company Big Bend Brewing was purchasing their manufacturing equipment from. Guevara told the craft beer trade website that the Alpine brewery had maxed out its production, which is what led the company to pursue a San Antonio location. On their post to social media, the company suggested the brewery could come back in the future. This entry was posted in KRTS News and tagged alpine, Big Bend Brewing, Craftbeer. Bookmark the permalink.